Budding fashionistas are taking a cue from ever-popular food trucks by taking their products to the people. That's right folks, fashion trucks are becoming a thing. All across America, women with the passion (for fashion) are setting up shop in repurposed vans and trucks instead of boutiques. According to The Washington Post, fashion truck numbers have increased in the past few years. While only three were recorded in early 2011, over 350 roam the streets today. Because of the limited space, these vehicles offer their owners more room to play than perhaps the typical boutique. This is because product-turnover has a much higher rate. Due to their limited inventory space, owners of these wandering shops can restock more often, allowing them to explore different products and keep customers coming back more often. Of course, the supposed beauty of these retailers being based in vehicles is that they come to you. Most of these trucks stick to a schedule with routine stops so shoppers in the area shouldn't have to go out of their way to access their favorite fashions. However, Stacey Steffe, Mobile Retail Association co-founder and president, revealed to The (Wilmington, Del.) News Journal that, "Despite the industry growth, many cities still regulate mobile boutiques based on peddler permitting rules dating to the 1950s." These rules, which can dictate the when, where, and duration of a seller's stop, can make it difficult for vendors to find optimal streets to set up shop. So while it seems as if these boutiques will come to you, the reality is that it might just be harder to track these babies down than a store that stays put. If you do find one, let's talk logistics of the potential shopping experience. These trucks are, on average, about twenty feet long and seven feet wide. Not too many people are going to fit in that space before overcrowding becomes an issue. And do you really want browsing the racks to match the experience of riding on a rush-hour train? I think not. What if you find something you like? Do you try it on? Most of these fashion trucks have a dressing room, but if only one other person wants to try-before-she-buys, there's already a line. But the bottom line is fashion trucks go against everything your parents taught you as a child. Yes, food trucks are cool, but you're ordering from the outside of the vehicle while the food is prepared inside. This spinoff involves the consumer willingly entering a stranger's vehicle. 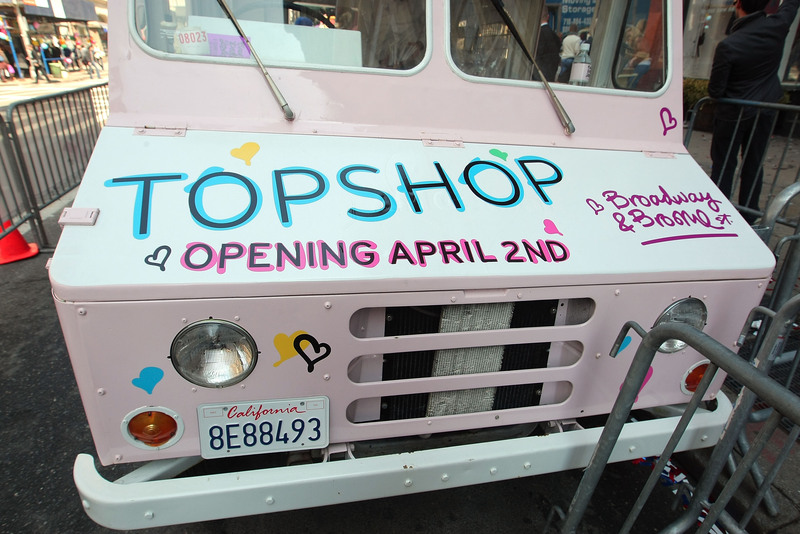 I really, really wanted to like the fashion truck idea. I guess I'm programmed to try to get behind anything innovative in the fashion and beauty industry. But this is one trend I'll have to pass on. Because who wants to change her clothes in the back of a stranger's truck?